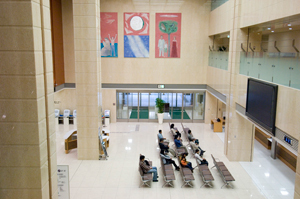 Our hospital is designated as a special function hospital. We provide high levels of quality medicine, and we contribute to regional medical care in full cooperation with medical institutions of the region. If this is your first visit to our hospital, we recommend that you have a letter of referral from your local medical institution. 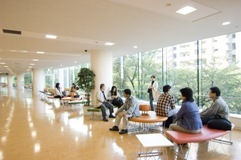 At our hospital, per a regulation of the Ministry of Health, Labour and Welfare, whether you have a letter of referral from other medical institutions that accepts insurance, we assess a separate charge for selective treatment fee (5,400 Yen) in addition to your co-pay for medical examination that is covered by insurance, as a fee to cover your first visit when you come to our hospital for the first time. Even when you have been seen by any of our departments in the past, per a rule of health insurance, if you have not received medical examination for a specified period from your previous medical examination, a selective treatment fee (5,400 Yen) may be assessed. Furthermore, as a rule, because dental surgery and other medical examination (non-dental) will be treated separately from health insurance, if you do not have a letter of referral, we will ask you for a selective treatment fee (5,400 Yen) at each time. Please be noted on the above rules if you will be seen by a dental surgeon and other departments on the same day. * Front doors are open from 7:00 am. We will check your insurance card once a month. 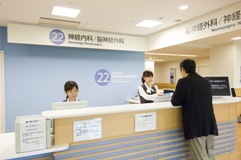 Please present this at the beginning of a month when you visit our hospital at ③ insurance card verification window. Please present your card at each time a change is made to the insurance card (eg occupation, change in job, departure from job, marital status, change in address). If the insurance card / medical care card and such is not presented, we will raise a charge to you for the full amount of the medical examination. Please consult your physician at the time of examination with regard to your next appointment. 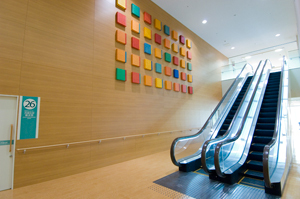 Appointment time is the general time of your hospital arrival. Please be noted that physical examination start time and order of appointments may change due to factors including condition of other patients. As a rule, we will issue a prescription to be filled at an off site pharmacy. Such prescription is valid for 4 days including the date of issue. Please take this prescription to the off site pharmacy before expiry.